Curt was born October 9, 1931 in Frazee, MN to Rev. George and Winnie (Johnson) Edwards, he grew up living in Vergas, but they also had a cabin on Sybil Lake and always enjoyed his time on the lake. 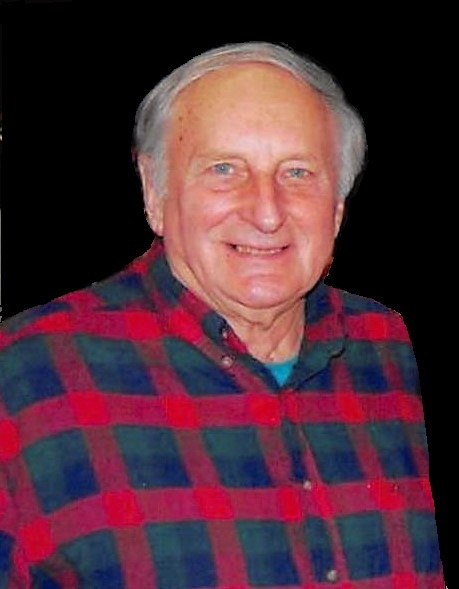 He graduated from Frazee High School in 1948. He was drafted into the Army and served 3 front line tours in the Korean conflict, He was wounded in his last tour and received the Purple Heart medal. After his return and his graduating from NDSSC in Wahpeton ND, he met a young lady named Alice Ripley and they were married July 13, 1957. Curt worked many years as a furnace man and sheet-metal worker. Curt and Alice lived around Pelican Rapids and then Vergas, Curt was very involved in the Baptist Churches in Pelican Rapids and Detroit Lakes, from teaching Sunday school and singing in the choir, to being a counselor for different area crusades. Curt's desire was to share the Good News of Jesus wherever he went. Curt loved water skiing and was known for acrobatics, such as skiing on a 4-foot ladder or standing on his head. He loved to hunt and fish and visit with people….non-stop. He enjoyed talking and making people laugh. He was a member of the Western MN Steam Threshers Reunion in Rollag, mainly working with the saw mill. Curt is survived by his wife Alice of Detroit Lakes, daughters Susan (Richard) Schaefer Fargo, ND, Sharon (Michael) Kratzke Vergas, MN, and son Paul (Christine) Edwards Detroit Lakes. Grandchildren Jonathan (Heidi) Kratzke, Andrea (Stephen) Hinman, Anna (Kurt) Hall, Amy (Dana) Hanson, Julia (Robert) Isakson, Benjamin Schaefer, Chelsea Edwards, Grace Kratzke, William Schaefer and Cody Edwards. Also nine great-granchildren. He was preceded in death by his parents, his sisters Margaret and Ruth and brother Carrol and an infant daughter Sonya.